CELEBRATE SWEATER WEATHER WITH EXTRA FLAIR IN THIS FLATTERING AND CHIC PONCHO THAT SUBTLETY REINVENTS THIS AUTUMN STAPLE. 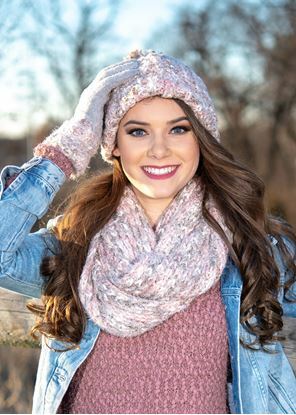 This open weave poncho is a great layering piece to chase away the chill. One size fits all. 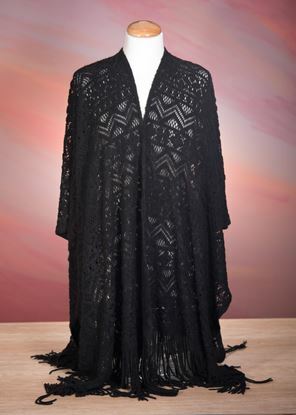 WEAR ELEGANCE WITH EASE IN THIS COMFORTABLE AND STYLISH WRAP WITH FRINGE DETAILING FOR ADDED SOPHISTICATION. 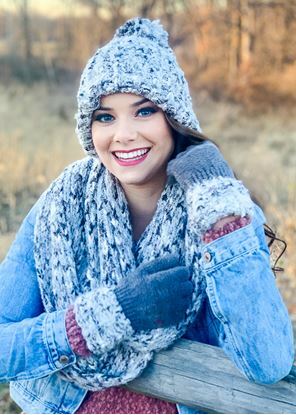 THIS HAT, SCARF, AND GLOVE SET WILL BECOME AN INSTANT FAVORITE WITH THEIR SOFT FEEL AND CLASSIC COLORS.